CSS stands for Cascading Style Sheets. Customizing CSS in WordPress allows to make styling changes to your website. In this article, you'll learn how to add a custom CSS to your WordPress website without editing any theme files. WordPress 4.7 comes with the Additional CSS feature that allows you to write your own custom CSS and make your styling changes with live previews in the Customizer. 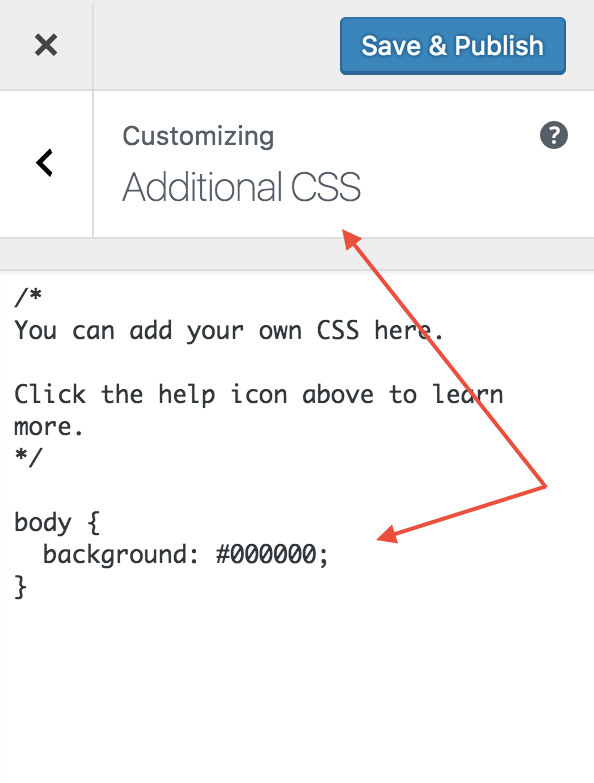 To access the CSS editor, go to the Customizer and click on the Additional CSS tab to open the CSS editor. Now, you can add your custom CSS after the placeholder comment (you can also remove the placeholder comment). Simple Custom CSS is a quick and easy solution to add custom CSS to your WordPress website. You can either download the plugin or search for "Simple Custom CSS" in your WordPress Dashboard by going to Plugins → Add New. Once you've found the plugin, you can install and activate it right from your WordPress Dashboard. Upon activation simply navigate to Appearance → Custom CSS and add your custom CSS.